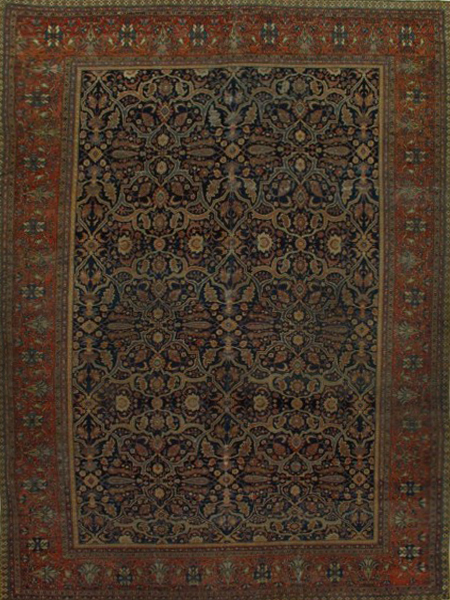 This beautifully preserved antique Persian carpet in gallery format is a superb example of the taste in the mid Qajar period in Iran. 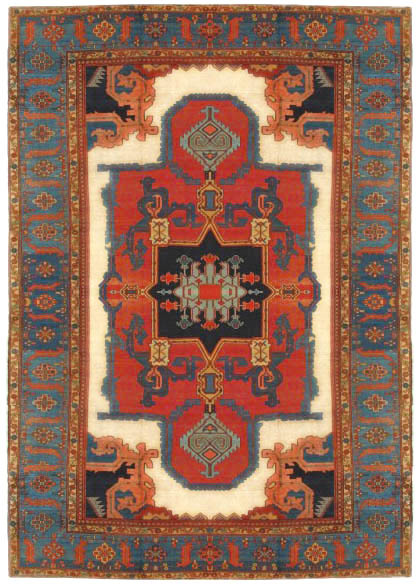 The close, but not crowded, vividly colorful rendition of the Harshang pattern with animated palmettes, cogwheel rosettes, blossoms, complete small flowers and angular stems, passes serenely, along the extended carpet format. 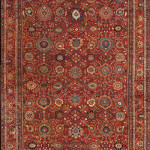 This long narrow layout is a traditional Persian size and predates the 9×12 ratio carpets of the late 19th century. The vigorous ivory border of palmettes and lancet leaves within a triple formal vine is barely sufficient to contain the movement of the field. 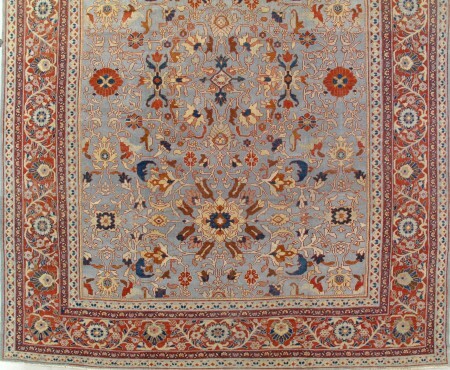 All original finishes are present and complete and, almost miraculously, the carpet has seen neither wear, sunlight nor over cleaning. 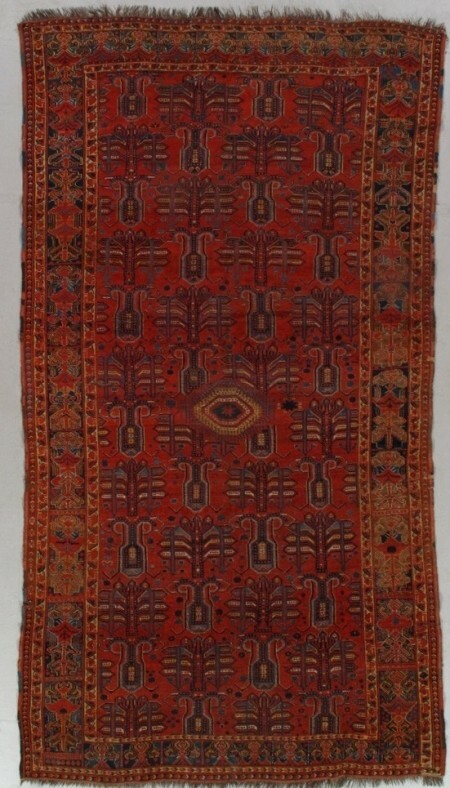 This is a piece for the knowledgeable collector or discerning decorative buyer.